I can always tell when we are getting close to a nursery. The landscape suddenly changes from grassy fields to vast expanses of crops and infrequently seen fields of fruits and vegetables. 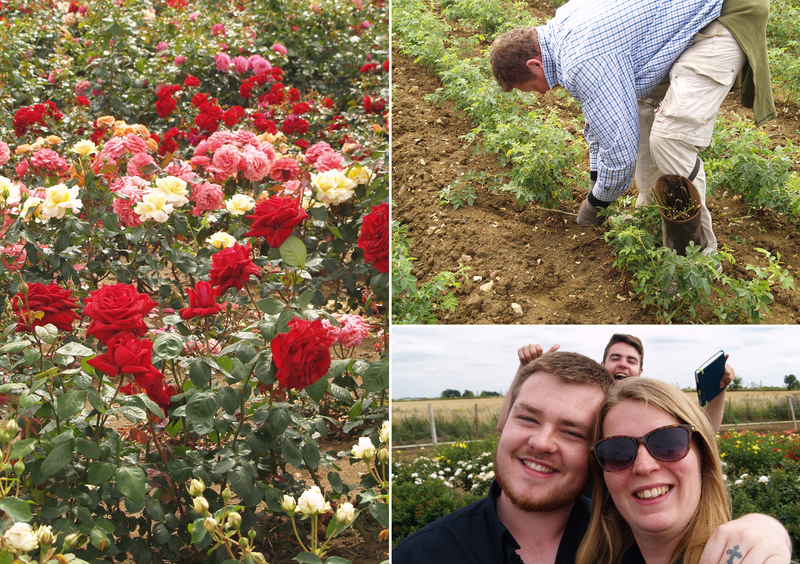 The nutrient-rich soil brings a variety of growers together, including the country’s largest rose grower, Chessum Roses, who we were visiting for the day. We were able to witness the entire rose growing process. Starting from the leaves and thorns being removed from the cut stems, ready for the ‘budders’ to take out onto the rose fields and finally graft them to a parent plant. I had never understood the art of grafting, so it was great to see it in action and appreciate just how clever it is. 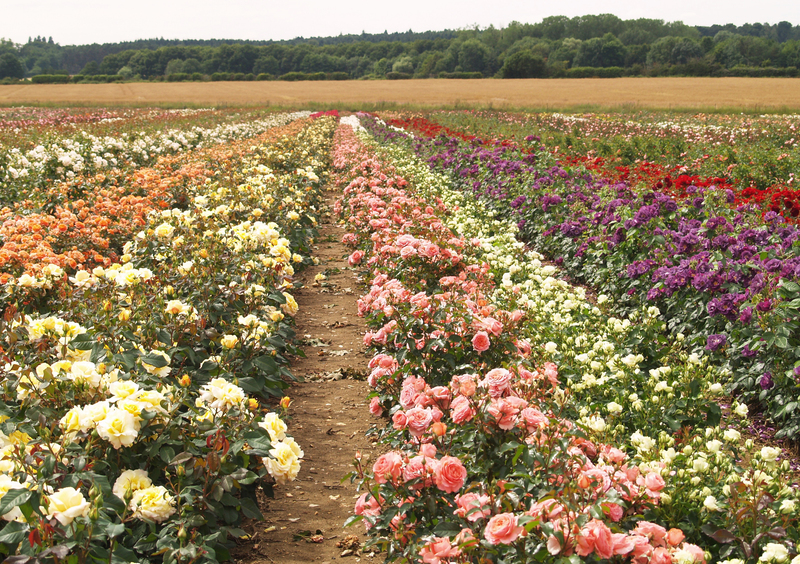 All the roses have undergone four years of observation to see whether they are a successful variety to grow in our own homes. We moved from field to field watching the rose plants get bigger and bigger until we eventually reached the field I had been waiting for, rows upon rows of bright blooming roses. According to the notes I took at the time, three quarters on a million were in that one field alone! We could smell their sweet perfume before they even came into view. I have always thought that lavender fields must be one of the most beautiful sights and smells, however I think fields of romantic roses may have just stolen first place. 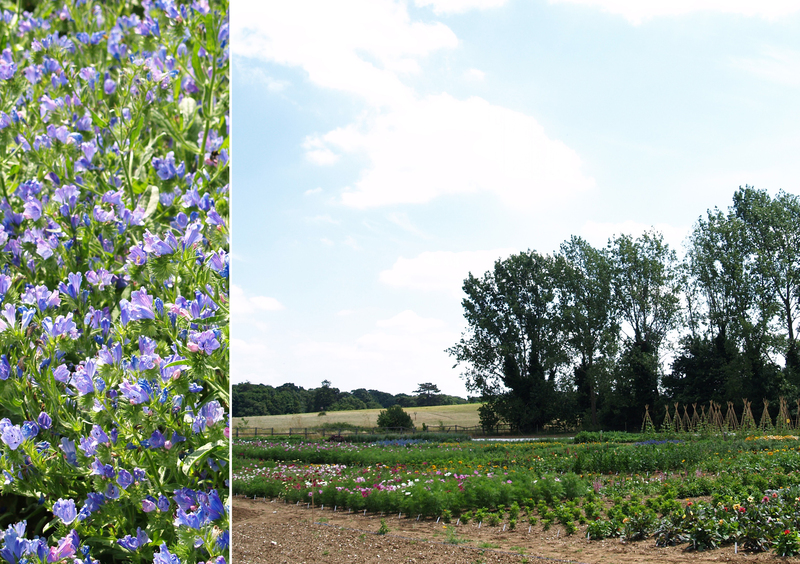 From the splendor of flowers to the science of seeds, the next day we were at Mr. Fothergills. We started the day on their trail grounds. Although seemingly modest in size, the allomenteers-dream garden was home to around 2,000 different lines of fruit, vegetable and flower. Grown exactly as you or I would grow them at home, no special conditions or vip treatment. Like the roses, the plants were closely studied, were they growing as described on the packet? What was the crop like? Were the plants healthy and vigorous? We were given a booklet of all the plants currently growing on the grounds and were then sent off with a list of questions about various varieties. The questions would simply ask, ‘What is wrong with plant number 63?’ and we all stood there looking at plant 63 with a puzzled expression on our faces. Someone would then quickly leaf through his or her booklet and suddenly it would dawn on us. Plant 63 is supposed to flower in the first year, however this one has no flowers… The simplest of things, which we just assume will happen, are thoroughly checked and walking around the trail ground making those observations ourselves really proved its importance. On the same site as the trail ground the seeds are also packed and distributed. 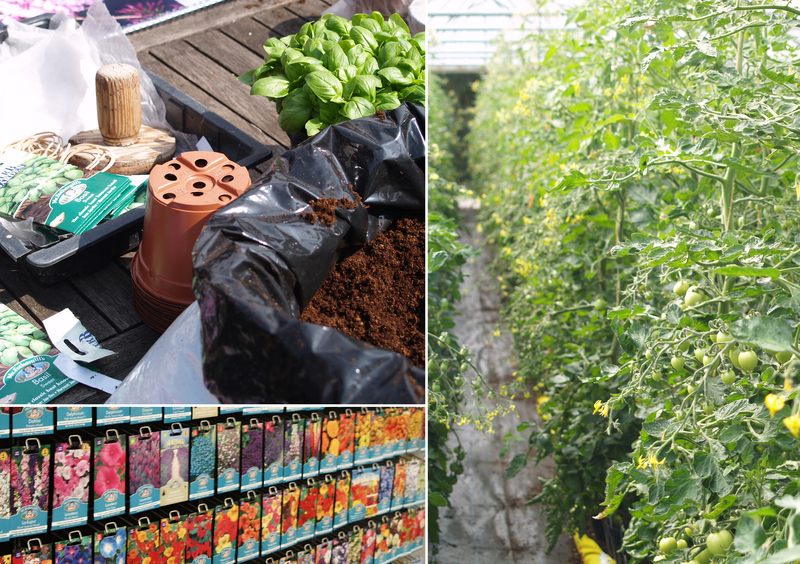 55 million seeds are packaged every year and 12 million seed packets are sent all over the world, to 30 different countries. Huge numbers, but when the biggest item needing to be packaged is a broad bean, the ‘factory’ had none of the dizzying commotion we have experienced at many sites. However, it was refreshing not to have to worry about forklifts zooming around and be able to get up close to the clever machinery that packaged the seeds by either counting them individually or by weight. Our last challenge of the day, a test to see how many seeds we could identify. It’s always fascinating to see the different shapes, sizes and textures of seed, but as for knowing what plant they came from; I think I’m going to need more practice! It was great to visit two plant-based companies who were both so completely different. We all returned home for the weekend, before our very final week of supplier visits. The excitement of visiting companies we have wanted to meet all year was tinged slightly with an underlying acknowledgement that soon the Garden Academy will be over for the 18 of us. I don’t think any of us want to think about it.